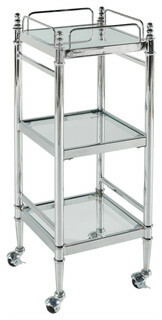 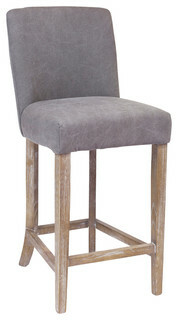 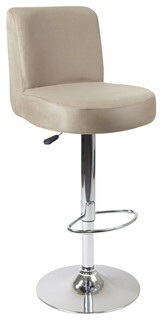 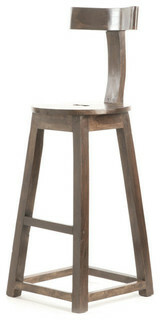 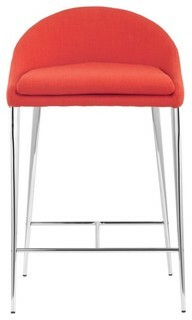 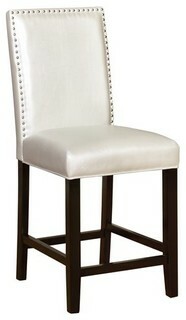 Add glamorous design and style to your counter or high top table with the Stewart Counter Stool. 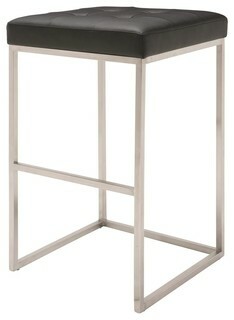 The straight lined design has a black finished frame and Pearl polyurethane fabric upholstery. 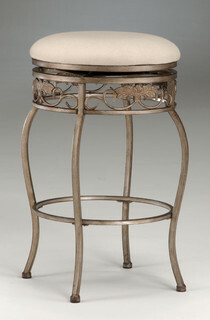 Shiny silver nailheads accent the stool back. 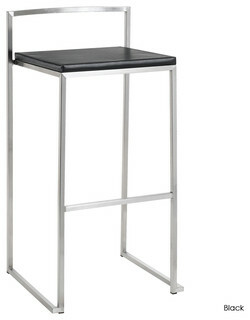 24 Seat Height.Glamorous DesignShiny Silver NailheadsCounter Stool 24 Seat HeightBlack FrameSizzle Pewter 100% Polyurethane UpholsteryFinish: BlackMaterial: Rubberwood Local Hardwood Nailheads Foam FabricFabric: Sizzle Pewter 100% PolyurethaneAssembled Size: 18w x 22d x 41hWeight Limits: 250 lbs.